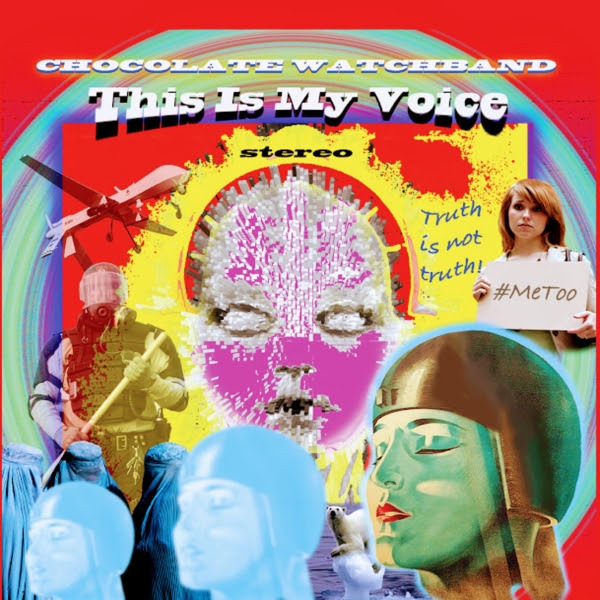 Iconic California psychedelic rock legends The Chocolate Watchband celebrate the release of their new album “This Is My Voice” (released by Dirty Water Records), led by founding and current members, vocalist David Aguilar and guitarist Tim Abbott, plus Gary Andrijasevich on drums. Second generation fans, guitarist Derek See and bassist Alec Palao (Grammy-nominated producer/ historian ), bring their enthusiasm and love for the music to the table to help weave THE sound which both faithfully recreates the sonic energy and tone of the original recordings, as well as giving a rare edge to new material that is a logical progression to the bands legacy. 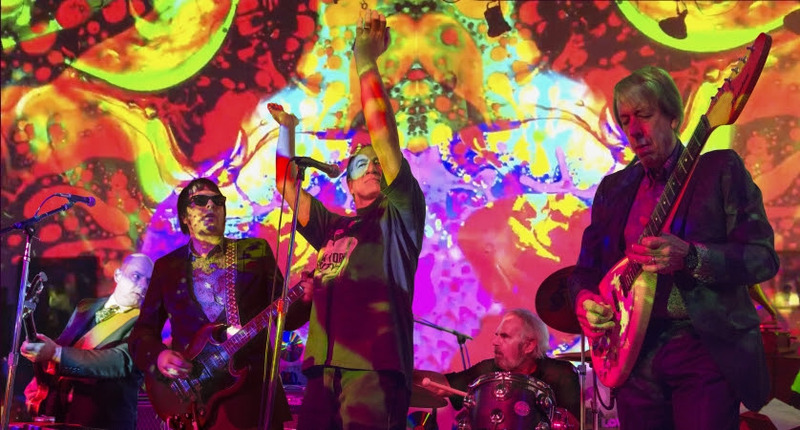 Documented as influencing legendary bands far and wide within the psych, garage, and punk scene for the past 50 years, their live performances sizzle with the same outrageous audacity of the late 60s scene they helped usher into the San Francisco Bay area ballroom scene. The group was also seen as featured bands in the 1967 cult films “Riot on the Sunset Strip” and “The Love-Ins”, and their powerful stage presence continues to the present day in a timeless stage show which is oozing electric cool-aid energy. Critics have noted the Chocolate Watchband was America’s answer to the Rolling Stones! While the bands’ music was a cherished secret of record collectors for many years, the music is now available to be heard by everyone, which has ushered in a new fourth generation of fans around the world, who hear the Watchband sound as it has reverberated into the psyche of the class of 2018 psychedelic bands. The band will be hitting the road in 2019 in support of their new album “This Is My Voice” with plans for a string of European tours and select US dates. Are YOU gonna be there?